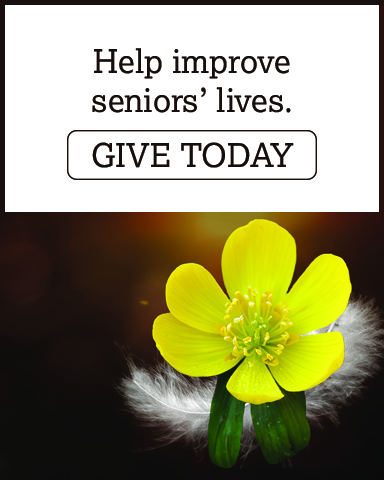 #ILGive / NOVEMBER 27th - Senior Services Associates, Inc.
WE NEED YOUR HELP! Please join our #ILGive campaign and help us reach our goal of $25,000! We need you to tell your friends and family members about the important work we do and ask them to join us in helping to make a difference on November 27th. WHY? Because new donors help us with matching dollars! Every dollar helps us provide the necessary services to the elderly and disabled so they can maintain a good quality of life, and their independence. Due to the generosity of matching grants, donations up to $4,000 will DOUBLE, with the help of the Grand Victoria Foundation and the Dunham Fund matching grants. Get ready to GIVE! On November 27th, starting at 12:01 a.m., visit this website and make a donation. You will have ONE DAY, just 24-hours to make your donation. All giving ends at 11:59 p.m. on November 27th. Please pass the word far and wide! ONLY online donations will be eligible for matching. If you wish to visit one of our Senior Centers to donate in cash, staff will assist you with your donation. Visit us on TUESDAY, and visit this #ILGive Donation page. This link will only be live on November 27th.